Microsoft is set to refund Xbox Live subscribers whose accounts were used by hackers to buy downloadable content that was then thought to have been exchanged for real money. Some users are being sent warnings that their accounts may have been compromised, while all Xbox Live gamers are being encouraged to change their Xbox Live passwords. The scam first came to light earlier this week but no one is yet sure exactly how the scammers managed to get hold of people's gamertags, passwords and billing information. Microsoft is no doubt keen to avoid a mass, long-running security debacle like that suffered by its rival Sony earlier this year. "We take the security of the Xbox Live service seriously and work to improve it against evolving threats," a Microsoft spokesman said. "Very occasionally, though, we are contacted by members regarding alleged unauthorised access to their accounts by outside individuals. 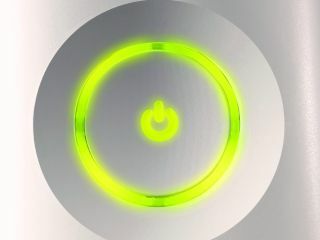 We can confirm that only a small percentage of Xbox Live customers have been affected here in the UK." The company is set to release a made-over version of the Xbox Live dashboard on 6 December, by which time all this will be but a distant memory. It might be a way off but we're already looking forward to the next Xbox - here's what we'd like to see Microsoft add to the new console - is it too late to add robust security to the list?